I sat, straddling the huge body as best I could. The snake’s head was just before me, but once I was on, he began to move without looking back at me. A brief wave of confusion passed over me, and then we were traveling rapidly. I felt no sense of dizziness, nor that I might fall off. The voyage was exhilarating as we flew down tube-like tunnels not much bigger than ourselves – a kind of cosmic subway filled with geometric lines that flashed by me in brisk patterns, all lit up in a neon blue. We were descending rapidly as the tunnels spiraled around like DNA helixes, sometimes branching off in diverse directions. Snake seemed to know exactly where we were going, though, and there was no hesitation in his path choosing. Left, then suddenly right; up a bit and then down and down. I knew we were traveling deep into Ayahuasca space. After some time, this vision faded away and I seemed to be still once more. New lines and patterns began to appear, changing shapes and morphing into new geometries. I began to get excited that I might, at last, see some of the spectacular and incredibly beautiful light shows that I had always heard about. I knew that these effects are often the least important of the types of vision experiences one has in Ayahuasca and other entheogenic experiences, but I still wanted to see them, My entire career has been as a digital television artist, working with and creating visual special effects, so I had a particular interest in this aspect of the vision experience. Once I had taken this in and understood it, the designs and dim geometric lights came slowly to a halt. Now, the space around me formed into a dome about twice the size of my headspace. The lines formed into a simple row-matrix of white dots in front of me. They remained completely still and seemed to form a veil or barrier of some kind. It was very quiet and I had the impression that everything in the world had simply stopped. Everything in my vision space was on Pause while waiting for me to do something. I was tempted to become self-consciously nervous as I realized this was Ayahuasca school and I was being presented with a test – pop quiz one! What do I do? Push one of the dots? Say something? I was at a loss for a few moments. Immediately, a simple wooden door appeared right in front of me. That seemed rather too easy, but I reached out and opened the door and moved (by intention, not with my feet exactly) through the doorway. Just on the other side, someone was waiting for me. It was a very lovely young native woman with long and straight black hair, dressed in tribal clothing. She was looking at me with a very slight smile, then she motioned for me to come with her. Intrigued and attracted, I followed her down a hallway, her black hair hanging down and her movement fluid and silent. We came to a second wooden door, which she opened. We went through it into what could have been someone’s comfortable back porch. It seemed about twenty feet or so out to some kind of sunny yard or garden, which I did not perceive very well. My focus was on the young woman here in the shadowed porch area. It felt good here. There was a relaxing of tensions and a sense of comfort in this place. The girl still had her back to me, but she turned as she sat down in a chair and looked at me once more. As she did so, something remarkable happened. Her form and face changed as I watched. She smoothly metamorphosed from the lovely girl into the form of a very old and wizened Indian woman with an extremely wrinkled face. Her hair was mostly white now, with some dark streaks here and there. She had it pulled up behind her head in a bun. She had long chin whiskers, and some of her teeth were missing, but she was smiling a broad and wonderful smile and had a twinkle in her very expressive eyes. These eyes were amazing to me – seeming just slightly larger and deeper than a real person’s eyes would be. I could not take my sight off of them. I suddenly realized where I was and whom I was with. I knew I was now in the actual presence of the Spirit of the Vine. This was Mother Ayahuasca herself. I was excited, happy, and terrified all at the same time. She never spoke to me in words. Her expression was one of contained joy, waiting to share something with me. Once again, I felt myself becoming nervous, not knowing what to do or say. I was literally dumbfounded. What could or should I say to this amazing being? I stood there like a child. After a moment, she widened her expressive eyes as if in an inquiry. I felt even more at a loss, as if I had failed a test of understanding something she was trying to get me to see. I smiled and tried to show that I did not know what she was expecting from me. Her smile widened some more and then she opened her hand and showed me something lying there. It was a coin. Of all the things I might have expected to encounter in an Ayahuasca vision, this seemed to be a real non sequitur. What in the world was this coin and why was Mother Ayahuasca showing it to me? I was at a complete loss. She seemed to understand my confusion, and she held the coin up for me to see. Like a camera close up, I instantly got a super close view of the face of the coin. It was a standard Peruvian “One Sole” coin, worth about thirty US cents. On its face, it read “Un Nuevo Sol.” Now that I had perceived this, the virtual camera switched me back to the wider shot of her holding the coin for me. Again, she widened those amazing eyes in inquiry, and now obvious merriment. I could almost hear her saying, “Do you get it yet?” I knew this was very important, and a smile played on my lips, too, but I still had no idea what to make of this small yellow coin. Mother Ayahuasca’s eyes closed a bit and her smile mellowed now as she reached out her hand, still holding the coin, and pressed it to my chest – onto my heart. Sometimes there comes a moment in great visions and symbolic myth when a complex puzzle is resolved in one blinding instant once one crucial insight is applied. When the coin touched my heart, my jaw dropped as I suddenly understood. In that instant, there was a monumental transfer of energy and I was truly changed. Mother Ayahuasca had given me a great gift, but in the symbol nature of the vision space, the gift was contained and concealed within a symbol. In order to be able to help us, the Spirit of the vine has the ability to perceive our souls better than we can ourselves. She knew that mine was basically a happy and playful one, and she delivered her gift in a manner I could appreciate – a bi-lingual play on words – a pun. The Mother of Plants is a Spirit being – one of the true Elementals. My spirit was the plant she had just lovingly tended to. Even though I did not realize I needed this particular tending (and that, of course, was part of the problem), she had just renewed my soul. Part of me had been missing for a very long time and I did not even know. I had allowed myself to stagnate in a too-long career job, too afraid to change anything and too tired to try. I had just been through divorce and some tough financial times that took their toll as well. I did not analyze all of this at that moment, of course, but I did feel the impact of the change that had been delivered into me – a re-integration of love and of caring into the very fabric of my being and of my soul. As the emotional impact of this began to sink in, I looked back at Mother Ayahuasca. Her ancient face lit up even more than before with laughter and joy. Her amazing eyes seemed to grow until that was all I could see. I felt more truly uplifted and supported in that moment than I had ever been since infancy, held in the loving arms of my own mother. . . and the vision faded away . . . and was gone. I was lost for a while in a comfortable limbo, contemplating what had happened and feeling my new energy and strong emotions. It seems strange as I remember this now, some time after the vision, that at that moment within the Ayahuasca space, it took a while to realize with my higher brain functions that I had just experienced a profound and momentous vision. For a moment, I was thinking, “I should really try to remember this one!” Then it really began to sink in and a new, sharper sense of it filled me as I became more aware of my body and where I was in the ceremony. I began to notice the room and don Rober’s powerful singing. I began to feel the presence of all the others around me, working in their own fields of soul in this sacred space. I was very happy and comfortably excited. I could hardly believe my great fortune and I simply held the image of Mother Ayahuasca’s wonderful face in my mind. Ayahuasca can and does enhance and energize the emotions, regardless of the contents of visions. My marvelous encounter and gift compounded this effect and truly opened me up. I found myself in tears, holding my little Ayahuasca necklace and pressing the vine to my lips. I felt I had to use this emotional energy, this true magic of the night, to some good use. With my vision-renewed soul, I reached out to my parents, asleep back in Texas, sending them my true love and my compassion and healings for their many ailments. I spent time doing the same thing for all my extended family and friends, freely shedding tears of empathy and joy as I did so. Eventually, tears moved to a suffused glow of happiness. I felt so good at this point that I said aloud in my vision space, “I am so happy!” Instantly, a group of pure white daisies appeared in front of me. They rapidly overlapped each other until they filled my entire view with beautiful white blossoms! Then they slowly faded away until only the darkness of the room was left. I tried saying it again, and once more the flowers appeared and filled my view! Each time I said, “I feel happy!” The blooms filled my eyes in response. It was a magnificent visual symbol directly reflecting my feelings, and this time the visual image was in full color and depth. I continued to project happiness, health, and joy to each of my companions in the ceremony. I had a few other mild visions throughout the remainder of our time, but none of consequence or that I can recall. Several hours later near the end of our session, I thought I was emerging from the vision space and would see no more, but one more vision surprised me with its strength and appropriateness. I saw Mother Ayahuasca once again. This time, only the eyes of her young Indian woman manifestation appeared, very distinctly, but suspended over the black velvet of the room. Her alluring eyes drifted slowly downwards toward the floor, and then morphed into the eyes of a jaguar. As they descended, they slowly disappeared. Don Howard called our “intermission” at about 3 a.m. The candles were lit once again, and we prepared to go get some sleep. I was still quite dizzy from the brew and from my deep experiences. I weaved my way back to my room like a drunken sailor, much to the amusement of Howard. But now the chorus I hear, and am elated. I woke up at 8 in my small bed under the mosquito netting and set out to find don Rober for my flower bath. Feeling wonderful, I teased him again, saying, “Hoy, aguas calientes, Si? (“Today, the water is hot, yes?”). He laughed and said, “Si! !,” then pointed to the hard chair next to the fragrant bucket of flower water. I grinned and sat down. The water was just as cold as before! With our third and final ceremony over now, the strictest part of our dieta was also done and we were served some chicken and mashed potatoes with butter for lunch, along with some beans and exquisitely delicious mango, fresh from the jungle. After noon, a refreshing rainstorm soaked the camp and surrounding forest, and then it was time for our final talking stick circle. Everyone seemed to have had impactful visions last night, and I was very pleased to relate my vision experiences to the group. I noted that I had, indeed, received my hopeful forecast of a “triptych” of three vision experiences creating an arc of contrast from terror through normalcy and finally, to true and pure love. I felt humbled to have had the wonderful and very unexpected personal encounter with Madre Ayahuasca, and to have received such a priceless gift of the heart from her. Our spiritual travels together had come to an end. As we said our goodbyes at the lodge and prepared to re-enter the mundane world, it was time to make my initial post-vision assessment of my dimensional experiences. Interpretations will evolve as time passes, so it is important to make one’s best initial interpretation as close to the event as possible. This gives a vital and unique point of perspective for comparison to later thoughts and ideas. I had now reached the culmination of nearly a decade of personal study and research, planning, wondering, anticipating, and finally participating and doing the work of this path of plants, the ancient Way of Ayahuasca. I had traveled this road to learn more about the nature and history of the religious impulse in mankind, and also to personally experience that oldest form of religion – shamanism. I did this to see for myself what I could make of the claims of spiritual dimensions and non-human beings, visions and tests, and gifts and healings from a universe other than the one we live in day to day. Mankind is a talented creator of things real and of things of fiction. Are all the stories of magical things, spirits and sprites, demons and angels, paradises and fearful hells, miraculous healings, aliens from other worlds, possessions and inspirations, and all the myth of our species – is all this fiction? Is there any part of this that can be said to be real? This is a significant ontological question and it was the fundamental reason I came here to work with Ayahuasca. I did not expect to have such a direct personal encounter with a vibrant and powerful elemental Being. With that amazing audience and my first dramatic vision of Fear, I got much more than I was prepared for, but that, of course, is a good thing as it gave me a set of full-power experiences to analyze after the fact. In this, I felt very fortunate, as not all first time participants receive this kind of visioning. There are many in the community of Ayahuasca who claim that my ontological question of “What is real”” is not even appropriate to ask. That is, there is no “Real” to determine. I respect that view, but we are human beings – curious creatures who would very much like to know what we are doing here on this planet. It seems we are here without anyone to explain it to us and we seem to have no explicit purpose other than ones we devise for ourselves. Our great religious texts are, I believe, an attempt to impose an order, an explanation, on our existence to keep us from being so very lost in non-resolvable wonder. I do not believe we can ever avoid asking that question, especially once we become personally immersed in the Other dimensions of Ayahuasca or the other powerful plant medicines. The power and alien nature of this other realm is so palpable and informative that it cries out for us to analyze it – to determine its existence or non-existence. For me, that meant analyzing my own visions. Was this manifestation of Mother Ayahuasca an actual REAL entity, separate from myself, existing independently and capable of interacting with me as another separate human being would? Or, could this have been a creative product of my own mind/brain? Could she have been a projection of symbols from my deep unconscious, arranged in this vibrant showpiece to communicate with me in the way dreams often do? A case can be made either way, and many reading my account would claim the latter. However, and this is a crucial point, they did not experience it themselves. One thing such an experience does is to eradicate default certainty. When a person goes through this kind of visioning, he or she comes out the other side with a sense of true wonder and an opening of the mind to many different possibilities. Several writers on Ayahuasca have mentioned that one may go into the work with the tea as an atheist, but will emerge unable to remain one. This does not certify the orthodox views of established religions at all; it simply opens one up to the vast and alien wonder of the universes next door. As for my own evaluation of Madre Ayahuasca, while not being entirely certain of her status as REAL, I strongly and naturally leaned toward that view. One of the strongest arguments in this regard is the astonishing detail and the complete novelty and surprise of this vision and the others. A common expression after an Ayahuasca vision is the realization that one’s mind could not possibly have created such an intricate and complex set, characters, visual design, story, and emotional context, and presented it as an internally manufactured program instantly and in full. Nor could it create a character like Mother Ayahuasca who could and did interact with me in ways I could not possibly have foreseen! When she showed me the coin, it was a complete surprise and a non sequitur. Besides the surprise of the coin itself, I also had no thought or clue of the symbolic meaning of it until the very moment she pressed it onto my heart. That was a very complex idea, one that did not originate in my mind, to the extent I can determine it as a functioning human being. These kinds of dynamic interplays bear all the hallmarks of authentic interactions between separate and distinct people or intelligent entities. Shamanism is fundamentally about direct, personal experience, and the interpretations we make concerning the things we see directly and personally, remain a personal judgment for each one who seeks such experiences. That implies that there can never be a structure of belief imposed on shamanism. It simply doesn’t work that way. This essential freedom to experience and self-interpret is also why shamanism is feared by those who would control others. I believe that justifiable fear is the reason for the initial establishment of our orthodox power-centralized religions. For myself, I may never completely determine if what I saw was truly “real”. This is acceptable to me now, as I realize how deep and strange this other dimension is. I can, however, take my basic assumption of Mother Ayahuasca’s reality and that of the gift she gave me, on into my life in the same manner that other shamans take the information from their vision experiences into their lives and communities. We can use that information, and also assess it over time. This, too, is an important ontological test of the visions. One thing I can say for certain is that these visions, and especially this third vision of the Spirit of the Vine and her gift to me – this vision represents what I could accurately call my very first authentic “religious experience.” For a man who has been immersed in and who has seriously studied and written about religion for over 50 years, that is truly saying something. Do not believe in the ‘faith’ of the prophets of the past. persuading yourself that a ghost or a ‘god’ inspires you. Believe nothing on the sole authority of your elders or priests. I’m writing this post-script in 2012, some five years after my Ayahuasca experiences. It may be informative and of interest to follow up my narration with a report on if and how that observation by Howard came true for me and how the Ayahuasca experiences have affected my life since then. I have not yet had the opportunity to return to the Amazon to work with Ayahuasca again. Though I will return as soon as I can, I’ve been too busy with the new life I gained after I came home. Allow me to give you a little personal background to set your understanding of the scale of the change that happened to me. In 2006, I had just emerged from divorce and long-standing financial difficulties and had built up enough vacation time at my company to take the trip to Peru. Prior to my journey, I had worked in my profession as a television director for 33 years. I only worked at four companies during all that time, with the latest stint at one of the largest cable TV companies. That job had lasted 24 years straight at the time of my trip. I enjoyed my job, but I was not making much salary for such a long career, and I was really just marking time – not truly progressing or growing. I had the same boss all those years, and we were doing much the same kind of work. I was basically stuck. I had contemplated going out on my own as a post-production business, editing and doing animation and graphics and making original music, but it always seemed so risky and costly that I never made any real motions to do so. The company paycheck wasn’t much, but it was there. I had good benefits. I was OK, I thought . . . but I was stuck. What I did not realize was what a psychological and spiritual toll that stance had taken on me. To echo Casteneda’s Don Juan, I had not truly followed a path with heart, only one that seemed to be so, and any path other than one of heart is a curse. When I first returned home from Peru in early October, I was so filled with the love, excitement, and richness of my experiences with Ayahuasca that I felt compelled to write this account and to present some of it to my family and friends. I wanted, even needed, to communicate what I’d been through. Then, something happened at my job. In mid-December, all the stasis of my 24-year job came suddenly unglued. I was transferred from Production to the Media Sales Department and my new boss was the Sales Manager, someone who did not understand my creative and rather introverted job. Also, this person wanted her choice of people and found me to be too old, too expensive, and just someone she did not choose or understand. Knowing of my chronic back problems, they changed my job description to force me to have to carry heavy equipment – something I physically could not do. That led to “temporary disability” for six months, and then I’d be terminated with nothing else to show for it. Bang. Just like that. This is not an uncommon story in these times, of course, and I felt fortunate that I had not been simply terminated at once. However, this was at first a devastating thing to me, as I had been so stable and “protected” for so many years – decades even! Then, it occurred to me. I remembered what don Howard had told me. In about three months, look for the changes in your life! Here I was at just that point in time and everything was being stirred up and changed in the most sensitive area of my life: my security! It was Fearful – and that made me think of what I had experienced in my first vision. Now I could compare this fear with real FEAR itself, something I had gone through and survived. Once I understood this, I felt a strange calm come over me. This new situation was not truly fearful. Not compared to the real thing! This was something in motion with a purpose and I could and would survive it and even use it! Change had been forced into action, along with me, but I had a pad of time and income to create something new! I’ve done some significant study of and work with Carl Jung’s ideas of synchronicity. I find this compelling and I often observe it in action in my life. It seems to function strongest when there is great change and strong emotions involved, and this new job situation was certainly that. I postulated that Mother Ayahuasca had taken a good look at my life and decided I needed a strong push out of the comfortable nest I was stuck in. The method she used is appropriate to her not being a physical being in this world, but a “spirit” being. Perhaps, she could manipulate our world through methods of synchronicity to bring certain events together. I decided I would not succumb to despair or depression. I would not let the company crush me like an ant. The best revenge is success! I would take the cue and run with it, making my own opportunity out of what appeared to be a disaster for me. I knew I was too old and frankly, too experienced to likely find another similar job in my industry. I needed to stay in my city and I really had no other skills to turn into another kind of job, nor the time to develop them. I had to take that leap and go into business for myself. I sold my house and used the equity to purchase the equipment for my new studio. Then I bought a house where I could actually have my studio as well as my home. It was up and running before my six months disability leave was over. Also, several of my major clients at the cable company – people I had made commercials and programs for for years – were not pleased at all by the actions of the company towards me. They were glad to follow me and help establish my new business. Five years later, some of them are still crucial to my success. The road has been bumpy. The recession has taken a large toll on me as it has on all of us, but I have managed to keep it going, and I’m still in business today. More importantly, I’m in a vastly superior place spiritually and mentally. I may not enjoy paid vacation or even basic medical benefits, but I am happy and energized by being on my own and responsible for my own success or lack thereof. I am no longer stuck. I believe that an important aspect of the gift of the coin, “One New Soul”, was this. Some part of my soul that had languished and stagnated had now been healed. I am fully alive again, even though that means I have to face dangers as well as find unexpected joys in my new life. Now, as I have successfully battled cancer last year and continue to seek ways to expand my video work, I know that I have received this healing and I treasure more than ever the gift of the heart that I received from Mother Ayahuasca. It is easy to let this kind of languaging drift into what sounds like “religious talk.” I do not deify Mother Ayahuasca. I understand her to be an Elemental Spirit who has the ability to interact with our lives through some backdoor methods that involve synchronicity and the collective unconscious, to use Jung’s terms. I do not know how to scientifically describe this, but I accept it for myself since I have experienced it directly. In this manner, what has happened to me since my journey to Peru is itself a shamanism event! It is a personal, direct experience of a non-ordinary reality. Something from the other dimensions that lie so close to ours, yet are hidden unless we use the magic key to retune ourselves to their frequency. Even when we don’t do so by working with Ayahuasca or other entheogens or non-plant methods, we can still observe shamanistic effects in our everyday lives if we are attentive and know where to look. Five years on, there is not a day that goes by that I do not think about my experiences in the Amazon. I desire to return and to re-engage with the great plant spirits. I want to continue my education in the school I feel that I just barely entered. I want to sincerely thank Mother Ayahuasca for her love and for giving me just the perfect kick of Chaos in my outer life, even if I never have the privilege of another personal encounter with her. Before I went to the Amazon, I was apprehensive about taking my body into that dangerous and mysterious physical environment. I wanted to work with Ayahuasca so much that I thought I would just “put up with” being in that jungle. I did want to see it, and maybe it would be a fun adventure, but I’d probably never be comfortable there. I’m a desert rat, after all! 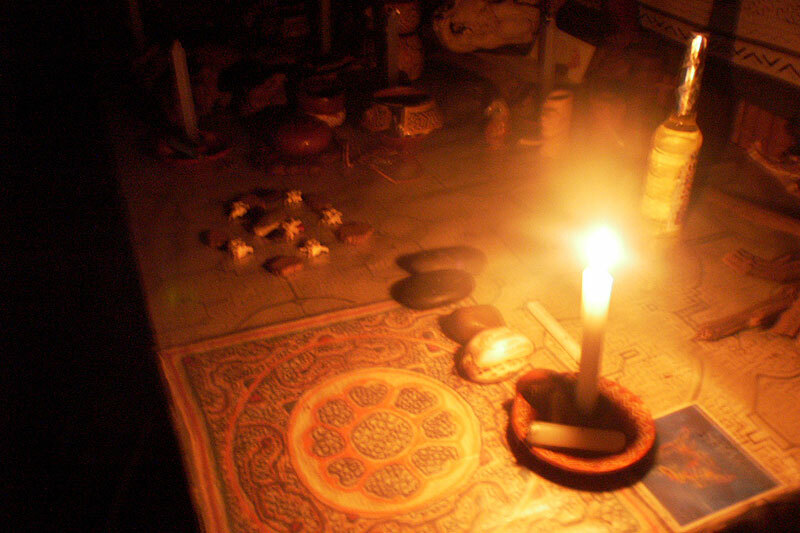 Ayahuasca SpiritQuest can be found HERE. Some of my other travel photos from Peru, including Machu Picchu and other sacred Inca sites, can be seen in other posts in this blog and also in a gallery HERE. For those interested in a more comprehensive presentation and analysis of Amazonian shamanism and the work of don Roberto Jurama and other mestizo ayahuasceros in particular, I highly recommend Stephan V. Beyer’s book, “Singing to the Plants.” It can be purchased here and his site can be found here. I would like to express my deep appreciation to don Howard Lawler, don Roberto Acho Jurama, and all the family and crew at SpiritQuest for their service, sensitivity, and love during my life-changing experiences with the Mother of All Plants, in the heart of the greatest forest on Earth. All photos and text ©2012 David P. Crews. All rights reserved. This entry was posted on March 6, 2012 by David Crews. It was filed under Ayahuasca & Entheogens, Shamanism, Animism, Musings: Life, Death, Past, &Future, Photos and Artwork, Travel, Uncategorized and was tagged with amazon, amazon jungle, animism, ayahuasca, beliefs, consciousness, dimethyltriptamine, dmt, earth, entheogen, inspiration, life, medicine, Peru, photo, photograph, psychedelics, psychoactive, rain forest, religion, ritual, sacrament, shaman, shamanic practices, shamanism, South America, spirit, thought, writing. Really enjoyed this David. I find remarkable similarities in our paths. Thank you..just coming back from my own SpiritQuest journey I appreciate your deeply observant description of your journey…and the photos! I’m so glad you enjoyed my words and photos, Leontina. Especially as you are just coming back from don Howard and don Rober’s excellent venue and sacred work. Blessings and Light!